We’re still waiting for the EOS-1D X, but while we do Canon have announced the 1D C.
Yes, I know this is fairly old news but quite significant and I wanted to put a reference into our blog. 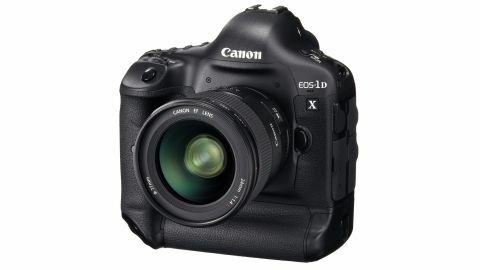 This DSLR will be available in October 2012 and will retail for around $15000. Canon tell us that they have been in discussions with Hollywood and other filmmakers to ensure that they have added the features that they need. This machine will capture 4K video at 24p. It will also capture 1080p at 50/60 fps and output it uncompressed over it’s HDMI connection. The 1D-C will also share some features of the C300, such as it’s Canon Log Gamma to give a flat image that is easily cut with footage from other cameras. Canon say that the 1D-C is quite significantly different to the 1D-X as the internal components had to be re-worked due to overheating issues caused by transfering the huge amounts of data required for 4K video. 4K video is not quite widespread yet (although Adobe CS6 and Final Cut Pro X support it), but there is no harm in archiving for the future. Nice review, thoguh I think maybe a little bias towards Canon S95. Firstly, start up time is the same, its just a question of setting the camera up properly. Secondly the look and feel is subjective, I prefer a finger strip on the camera for better grip, and the Nikon construction is first class. For me the only area S95 wins is the bigger sensor. Otherwise very little in it except in the UK canon costs a3320, Nikon a3220. I chose Nikon, faster lens and 35% cheaper. Hi, Neat post. There’s an issue along with your website in internet explorer, may check this? IE still is the marketplace chief and a huge part of folks will omit your fantastic writing due to this problem.